Why Great Lent? What's the purpose? How do I take part? Is it possible to observe the Great Fast/Lent in our current culture? What's the point of it anyway? It seems like an ancient practice irrelevant today. First of all, the season of the Great Lent is far different today. In rural communities of the past within an organically Orthodox world, the very rhythm of one's life was shaped by the Church. But now Lent is hardly visible outside the Church. So has Lent lost its meaning? 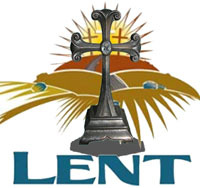 In fact, Lent is oftentimes viewed in a negative context. It's a season when different material things such as animal products are given up. The popular question, 'What are you giving up for Lent?' is a good summary of that negative approach. It’s easy to reduce something spiritual to something formal. So what’s the idea behind Lent? Let’s look at three possible answers with the guidance of Fr. Schemman’s book "Great Lent". First, the importance of Lent is a matter of salvation! The "breaking of the fast" by Adam began our history; he ate of the forbidden fruit. Christ, the New Adam, begins His ministry with fasting. Adam was tempted and he succumbed to temptation; Christ was tempted but He overcame it. So this practice is not mere obligations; it is connected with the very mystery of life and death, of salvation and damnation. Second, during Lent we are asked the question, what does it mean to be alive or simply, what’s the meaning of life? Christ showed that life is meant to be in communion with Him. Life is not just dependent on "bread alone" (Luke 4:4), whatever form(s) this bread may take in your life. For Christ Himself says, "I am the Way, the Truth and the Life" (John 14:6). Lastly, hunger is that state which helps us to realize our dependence on something else. Our need for food shows that we have no life in ourselves. Therefore, fasting is our entrance and participation into the experience through Christ by which He liberates us from total dependence on food, matter, and the world. Christ Himself instructs us that Satan cannot be overcome but by fasting and prayer (Mark 9:28-29). The above three ideas bring us to a vital point. Physical fasting is meaningless if it is disconnected from spiritual growth. When we fast by giving up animal products, our negative state of hunger is transformed by prayer and meditation into His positive presence. Now let’s turn to practical side of Great Lent. Why should I observe Lent, and how can I take part in it? Let’s look at four possibilities. First, Great Lent builds self-control. As we sacrifice food, we control our temptations by building disciple and control of self day-by-day. Just think about the many times we have been tempted to break Lent! But it does not stop here; this negation is only the starting point. Second, it’s about prayer, prayer, and prayer. One cannot overemphasize it. But this exercise should not merely be seen in the context of the hourly/formal prayers of our Church. Brother Lawrence goes further in his book entitled "The Practice of the Presence of God". The title reveals the content: we are to continually think about God in our daily repetitive tasks of the day. This requires a change in mindset. He writes of how he prays and converses with God when washing dishes, brushing, bathing, etc. It's an age-old practice spoken by St. Paul of "praying unceasingly" (1 Thess. 5:17). It must be mentioned here that modern technology has brought with it certain challenges. Our lives have been altered by television, internet, etc. It’s no longer a luxury, but oftentimes seen as a necessity. Therefore, today's Christians have to make a special effort to recover a dimension of silence which puts us in contact with higher realities. This means that the use of TV, internet, instant messaging, music, etc. should be reduced during Lent. This does not necessarily mean that we need to completely remove it. There is nothing wrong in watching intellectually or spiritually enriching programs, for example. But our regular schedule should, at minimum, be tweaked during these 50 days. Here also, absence or reduction is not sufficient; it must have a positive counterpart. Lastly, let’s examine how Lent can transform the long hours we spend outside of home – commuting, sitting at desks, taking care of our professional duties, studying, meeting our colleagues and friends. As Brother Lawrence reminds us, we should continually think about God in our daily repetitive tasks. As a practical example, we can repeat and mediate upon a specific verse we read from the above Gospel Planner for that day. As an extension to the last practical idea, Lent is also an ideal time to measure the extent of our relationship with others. We are called to deepen our relationships beyond the artificial level of "what’s up". This reorientation begins with the sacrament of confession offered by our church. But confession is a starting point, not the end. As we confess to a priest, we are thereby more willing to be 'real' with others. Of course, this is not easy to do, but what better time than during Lent? We should develop intimate friends to whom we can share everything. Many terms are used for this, such as an accountability partner or spiritual father. In the end, the purpose of all these options is the same: to draw closer to Christ. In summary, the season of Great Lent is an opportunity given for spiritual growth, but this exclusively depends on whether we are willing to partake of it. It should not be understood as mere symbols and customs. Ultimately, to take Great Lent seriously entails that we will consider it on the deepest level possible: as a spiritual challenge to draw closer to Christ, which requires a response, a decision, a plan, and continuous effort. Great Lent in the Syriac Orthodox Church starts with evening prayer on the 1st Sunday (Wedding of Cana) and concludes with the Holy Kurbana/Mass on 8th Sunday (Resurrection/Easter).